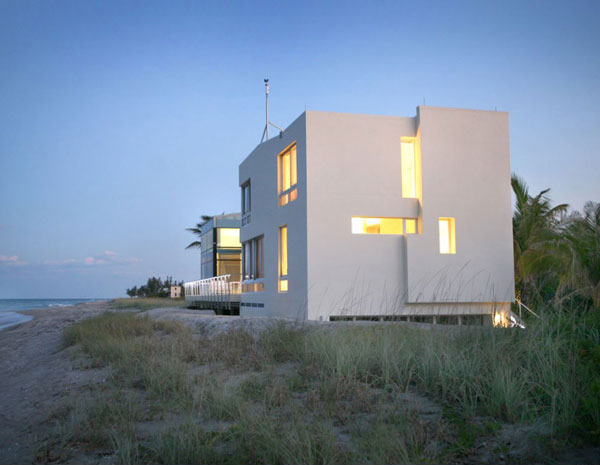 Today we are going to feature a 3,600 square foot beach house situated in Jupiter Island in Florida. Well this house is both a quaint coastal cottage and a chic isle villa. The house, as well as the materials used here manifests the revelation of a beachcomber’s unexpected and precious discovery. Moreover the intellectual pattern of this house is completed by the pitched nautical dynamism of a structure settled on the piers and railings. It seems that this house is all set to sail anytime. In fact the design intentionally examines the elements of glass, sand and aluminum for their figurative and material potentials. The distinct part includes the sand as it encircles the sleeping area. Another is aluminum as it enlivens the entertaining room. Finally, the glass as it improves the reflective living area. Every part is considerately oriented to secure the lights and the beautiful sights in this place. The connection between the sand and the glass obviously produced a more vivacious space which is a good place for entertainment, food preparation and dining area. While the aluminum helps to intervene the heat during daytime as it offers a cool filtered light to the west area. Moreover, the texture of the sand of the north facing sleeping section emphasizes the ancient wisdom of worm stone. This describes the suitable feeling in a private place while welcoming the sunlight in the morning in its serenity. But when the evening comes, you may wander to the rooftop lap pool to see the lovely views to the east and south. Furthermore, this house is tagged as Beach Road 2 House in Florida. Well, now I am pretty sure that you are so excited to explore more of the unique sections of the house. Let us scroll down and see the different images below. The lights and the white paint of the house match the color of the sky in the evening making it more elegant. As we take a look at this house it seems that this is ready to sail anytime of the day. We can observe the unique effects of the lights in the inside of the house. The house is located near that beach giving it a unique atmosphere. 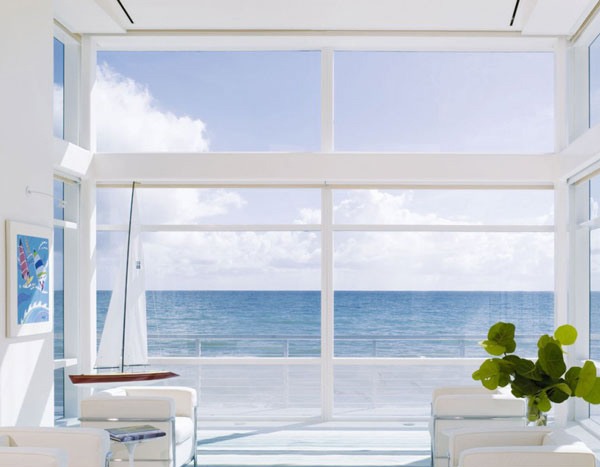 While unwinding in this living room you may straightly see the blue water in the sea through its glassed walls and windows. You may witness the neat ambience of this kitchen room as it used white tops and cabinets. 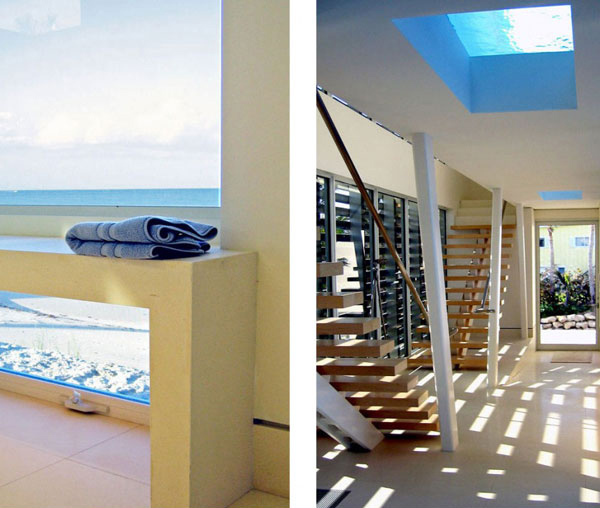 One can catch a glimpse of the blue water from the swimming pool above while working in this kitchen. Spotted here is the customized swimming pool in the roof top of the house. The wooden fixture and paints utilized in this area carefully matches with the concept of the designer. 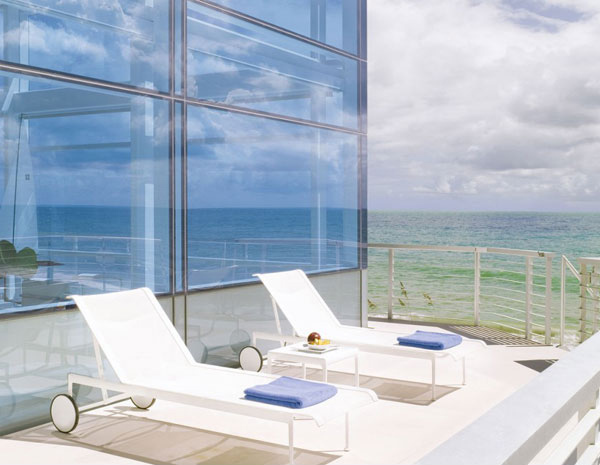 This is the terrace where one can get a good view of the sea. 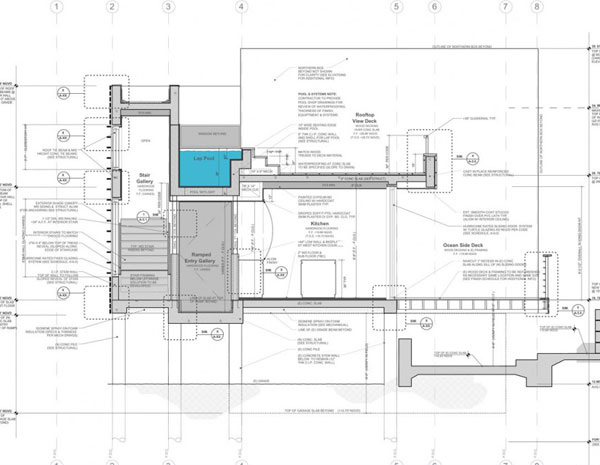 You can also get a closer look at the glass walls used in the building. 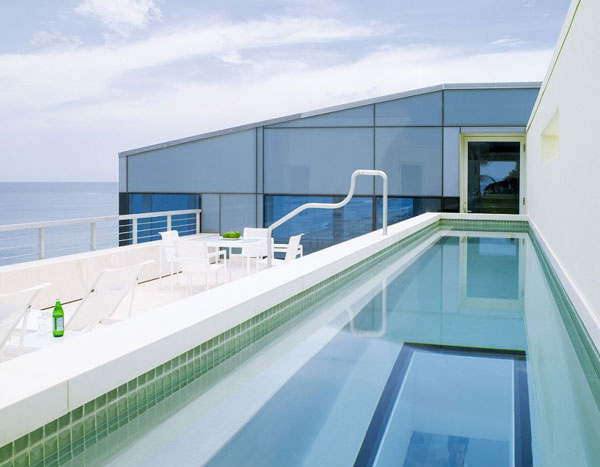 Hence, this fashionable white villa seated on the ocean shore named Beach Road 2 Residence is a fresh and a mind-blowing project designed by the Hughes Umbanhowar Architects. 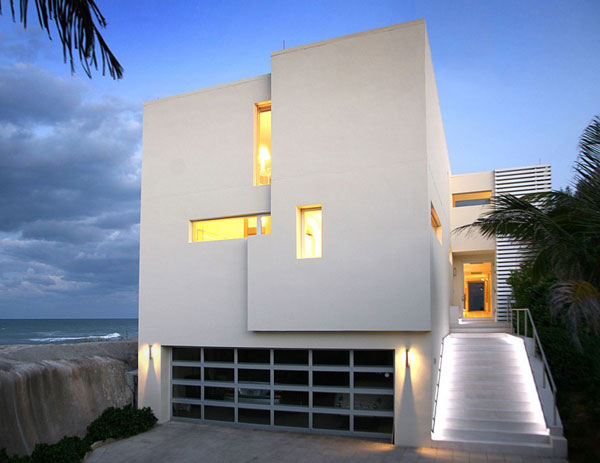 The white palette of the façade creates an unusual gap with the color spectrum of the beach. The interiors of this house were also designed in white color and you can see a lot of fascinating accessories such as the bright glass baubles or the thematic paintings. We can say that this house is really ideal not just for shelter but a stylish island villa as well. These houses take advantage of the rooftop lap pool to see more of the beautiful scene to the east and south. The undeniable movement of the pool offers a visual and intuitive connection to the thin wavering line of the twilight. 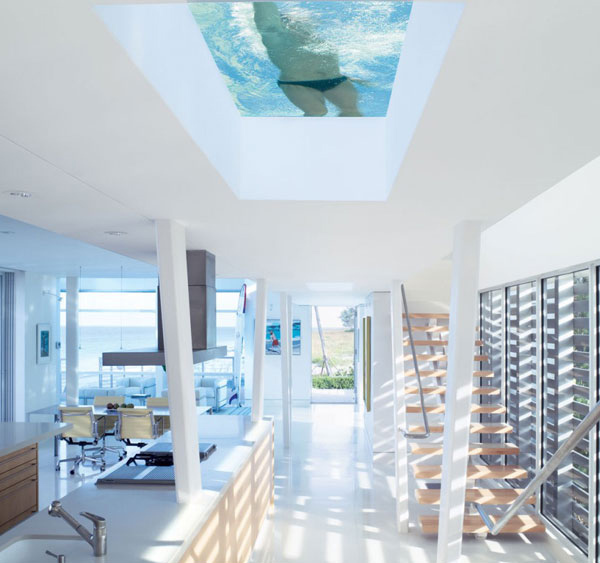 While in the morning, the cool azure of the water is transmitted and metamorphosed into the living room through skylights set in the pool floor. Well, we are so confident that today we have impressed you through the Beach Road 2 Residence design. 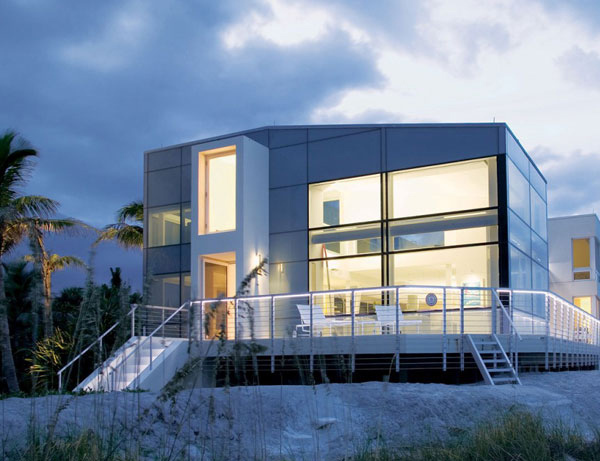 Hope this will help you plan your dream house especially when you desire to stay near the ocean like this.